"""Brought again this summer, this shell jacket has been tested and approved. Designed for the outdoor enthusiast, it is built for multiple active mountain sports, all year long. 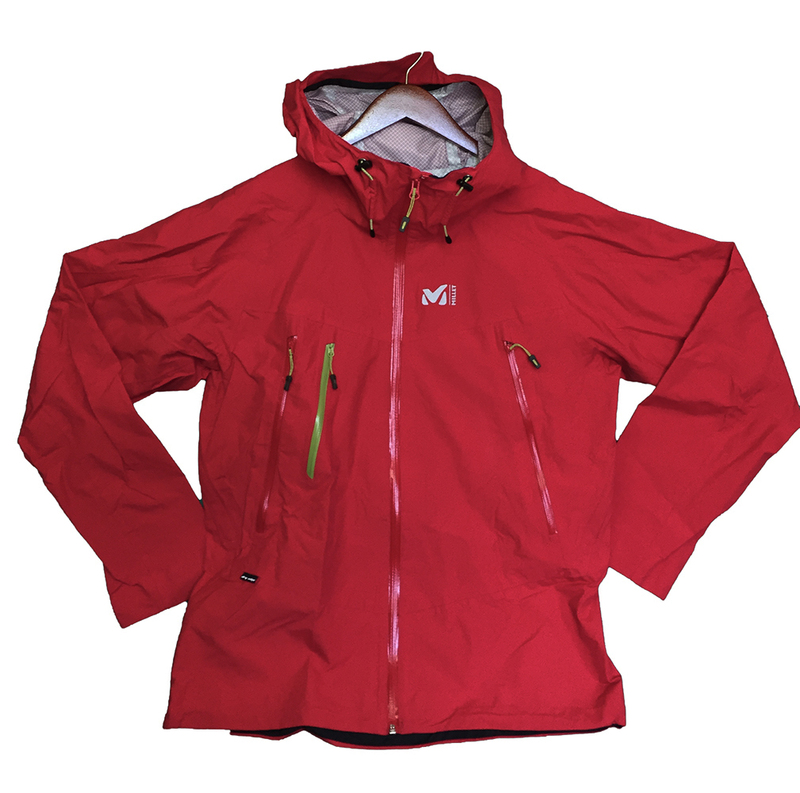 The Trident jacket delivers high performance through a sleek and ergnonomic design. It is made of a soft and lightweight 2,5L DRYEDGE ALL WEATHER ripstop fabric construction for increased wear and tear strength. Highly packable design fits easily into your hiking or day pack and delivers great protection against the elements in all your mountains activities. With a waterproof and breathable membrane and complete seam sealing and water-repellent zippers, its the perfect pick for your forest rambles or smaller outings. The Alpine Fit reduces bulk around the body but gives enough room for unrestricted movement and the ergonomic pattern design allows arms mobility and durability at high wear areas by reducing abrasion points particularly vulnerable to wear from pack straps. When needed, excess heat can be released using the underarm vents. A quick access chest pocket allows to stash items at the ready and two chest pockets sit high for easy access and are pack and harness-compatible. Collar, cuffs and hem cinch securely and follow body movement and with the adjustable and helmet compatible hood, the Trident is deal for mountaineering and hiking adventures, all year long.